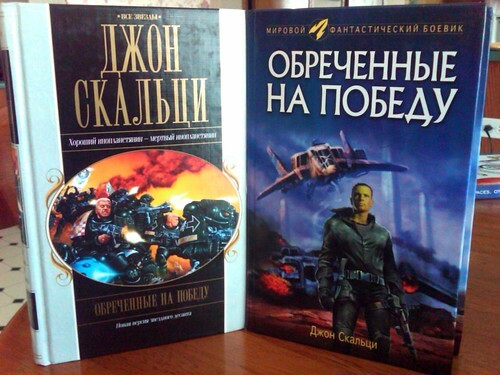 Eksmo, my Russian publisher, recently re-upped its license for Old Man’s War, which I was happy about, but what I’m even happier about is that the new version of the book no longer has the “completely unrelated angry soldiers taken from Warhammer 40,000” artwork of the original print run (on the left, above); instead they’ve gone and either created new artwork specific to the series, or at the very least licensed art work that looks like it could be related to what’s going on in the book (and made the guy on the cover green). Whichever it is, I like it. I will note that my name is no longer above the title in the second edition. I think I’ll live. How do you pronounce the “z” in you last name? As in “pizza” or “Pisa”? I had assumed the later but the Russian translation uses the former. Also do you get any input in the tittle translation? “Doomed To Win” is not quite Old Man’s War? No input in the title. “Old Man’s War” is a title that gets changed a lot in translation. I assume the Russians guessed at how to pronounce my last name in the absence of hearing it. As long as it’s close enough I don’t mind. Since you are a professional that likes being paid for your words, the rubles are more important than details of name transliteration. I can see that. At least they didn’t make it Скальций. Whoa, old 40K art. All those guns are, like, three generations behind the current art & minis. 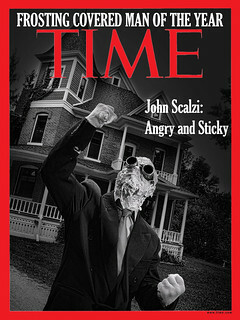 New cover’s awesome, though, despite being not entirely accurate to the actual words between the covers! At least they didn’t steal the Hello Kitty 40k artwork instead. Although that might have been more amusing. Holy Crap. That really, seriously is just WHammer 40k art on your book. How does that even happen? Doesn’t Games Workshop see that and say “Huh… we really should sue whoever that is.”? Seriously the most hilarious thing I’ve seen today. Congrats on wrapping your latest project, I can’t wait to see what it is. Perhaps you’ve covered this in a previous post that I missed, but I’m curious about the nuts and bolts of a foreign translation license- specifically, I find it surprising (and a bit unsettling) that an author would not have direct control over details such as the name of the book or even how your name is spelled. 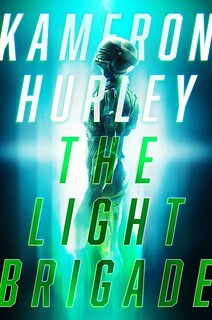 Cover art I get- but the title? Is this a pretty common arrangement, or are these details that would be different if they were important to a specific author? I’m sure Eksmo licensed the artwork; it’s a reputable publisher. I suppose I could require keeping the original title, but I assume the publishers know their market. The only time I asked to have a foreign title changed was when the German “Zoe’s Tale” was renamed “Between Planets” in German — that’s a little too Heinlein for me. My German publisher was happy to work with me with that, however. I suggest Джон “Бекон Кот” Скальци. Consider yourself lucky, Mr. Scalzi – the first edition of Ender’s Game in Hebrew has the Enterprise as part of the cover’s design. Anyway, the new cover does look more related to the book. Congratulations! The cover of the previous edition of OWM is a special kind of hilarious to me, as a Warhammer 40k fan. There is nothing more over-the-top in science fiction than WH40K space marines. This is a “I like your books!” type comment. After hearing your short story in a podcast, I decided to buy one of your books. After reading the book, I bought several more! You are now added to the list of authors I look for at the bookstore. I had been re-reading this book recently actually, and I was wondering if there was any talk in making it into a movie? It hadn’t occurred to me you might be pronouncing it with з instead of ц. Googling for Скалци or Скалзи returns the same number of Bulgarian hits, with the latter only consisting of references to you, while all other Scalzis are always Скалци, and there’s also references to you. At the Bulgarian Wikipedia and on covers it’s Скалзи, the way that you pronounce it, if I understand correctly? In Cyrillic, C is our S, K and A are the same, л is our L. So Скал = “Skal”. Also, your first name? Is “Dzhon”. Russian has trouble with our J-sound — they can do “dzh”, “dj” and “tch”, but none of those quite match. It could be that, but the name is obviously Italian and also not rare at all, I suppose it didn’t occur to them the pronunciation might have been Americanized. The choice of ‘ts’ is weird. I would have gone with ‘3’ over ‘ц’. And seriously – odd title choice. Matt Stover’s ‘Blade of Tyshalle’ and Scott Lynch’s ‘Lies of Locke Lamora’ were both left alone, and they’re a bit odder (in so much as they feature fantasyish-sounding words/names) than ‘Old Man’s War’.